Proper lighting for places of worship can be intense or subtle, depending on the application need. 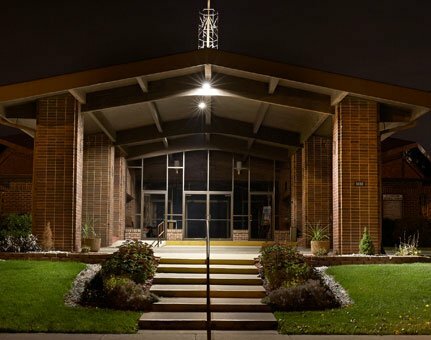 A diverse set of lighting fixtures, such as e-conolight's recessed lighting, track lighting, floodlights and area lights help emphasize and illuminate religious institutions, both inside and out. We offer a variety of LED fixtures that can highlight focal elements, create a soothing background, draw attention to the dramatics and increase security for attendees. Whether it’s indoor or outdoor, e-conolight has the LED products to set the right mood for prayer and worship.